Song List: It’s a Wonderful Day; Way Up in Gloryland; When I Receive My Robe and Crown; For God So Loved; Turn Your Back; Intermission; Gonna Build a Mountain; That Still Small Voice; Pearly Gates; I Remember the Day; The Cloud He’s Coming Back On; Welcome to Heaven. Click “Read the Rest of This Entry” for the full review. Adam: This is an excellent remake of the classic Anchormen song. I’ve always loved this song and Triumphant’s version doesn’t disappoint. A great start to a wonderful project! Wes: I liked this song when the Anchormen did it, I LOVE Triumphant’s version. I agree with Adam, perfect way to start the CD. Their version I actually find superior to the original by the Anchormen. Aaron: I have never heard the Anchormen version of this song, but Triumphant’s version blew me away! The choice of opening the album with this song was a very good one; it has me eager to hear the rest of the album. Brandon: You may have heard this before, but I love this song! I agree with the comments above that as good as the Anchormen’s original version was on the Heart Of The Matter project, this cut is much better. I really like Eric Bennett’s solo lines towards the end of the song. I could see Eric’s lines helping to energize audiences and leading to an encore. Wes: This is the first of two old Nelons songs. The verses sound a bit strange to be sung so low. The choruses are fine, and it is a solid rendition of the song. Eric Bennett’s bass singing and Jeff Stice’s playing are the highlights of this song. Aaron: This track opens up with a bang as Jeff Stice displays his lightning-fast piano playing abilities. Bass singer Eric Bennett is one of the smoothest and most versatile basses out there, and his singing really shines on this song. David Bruce Murray: “Way Up In Gloryland” goes about ninety miles an hour! Bennett shows off his up-tempo bass singing skills on this one. Brandon: I’ve never heard this song before, but it puts me in the mind of the Hayes Family. I can close my eyes and hear them singing this song. Adam: This was always one of my favorite songs to sing when I was a kid. I don’t know that I’ve heard a better version than what Triumphant has recorded here. I especially love the turnaround when the tempo increases. My favorite track from the project! I’m still blown away with this track. Wes: This is the other Nelons song. This one works a bit better from start to finish than the previous song. Like Adam, I really like the turnaround and tempo change. These guys are just good. Aaron: I had heard the title of this song, but never the actual song. It’s a very catchy tune; it reminds me of something The Kingsmen would do. One of my favorites from this project for sure, and the like Adam and Wes said, the turnaround is pretty cool, too! Brandon: I’m not very familiar with the Nelons’ music, so this is another song that I’ve never heard before. I agree that this is one of the strongest songs on the project. Daniel: I was going to rate this track at a strong 4 stars until the tempo change. The strong finish moved the song up to a 5-star rating for me. Wes: Brilliant interpretation by David Sutton. He does well with tender ballads like this one. The harmony on the chorus is very smooth and powerful. The tag ratchets up the power considerably, and is expertly done. One of the highlights of the entire CD. Adam: Not my favorite track from the project, but well done. David Sutton is my favorite tenor singer and displays his brilliance here. Aaron: The Florida Boys recorded this song on their Sing Your Blues Away project, giving Josh Garner the feature. I think the Florida Boys version is the better one, but this track is a nice David Sutton feature. Daniel: An able rendition. I’m still waiting for some top-notch tenor to put their stamp on Brian Free’s signature song by the same name, but this song is also enjoyable. The power tag will undoubtedly be excellent live. Wes: This rendition is pretty close to the original by the Cathedrals. I miss the higher ending that the Cathedrals put on the song, but it’s still a pretty good cut. It does make me interested to hear the spin that Gold City is putting on their cut of the song. Aaron: I realized when this track was playing that Eric Bennett is featured in some capacity on most of this songs on this project. I’m not complaining though; as I stated earlier, he’s one of the best basses out there. He can sing low and smooth at the same time, and he does George Younce justice on this track. Brandon: This is a very good cut of a great song. I’ve been listening to the Cathedrals’ original recording of this song the last few weeks and have to say that I like that one better. Adam: This is a great song, but I don’t think that anyone will ever top the Cats version of the song, so I consider this track more of a tribute than an effort make the song their own. Wes: OK, I can see the flame wars coming on this song. My personal opinion, I could do without the voice over commercial, and could just listen to the jazz instrumental for hours. The concept of an “intermission” in the middle is something similar to what Take 6 has done on several of their projects. Aaron: Hmm… a very interesting inclusion to this project, to say the least. I was surprised with the little voiceover, though. Guess it doesn’t hurt to plug once in a while! Jeff Stice’s playing on here is very good; he’s a strong contender for Instrumentalist Of The Year. DBM: The novelty of the unexpected commercial was interesting the first time I heard it, but it gets old immediately. Customers listen to product pitches at concerts without complaining (for the most part). They’re informed about group websites on every piece of product they purchase. At the very least, a customer should be able to listen to the product they BOUGHT without having to endure an advertisement for the group’s website midway through. Stice’s track is a nice touch, but it’s impossible to tune out the commercial. I wouldn’t be surprised if more than a few fans who buy this CD create their own eleven track version leaving this track off. Brandon: I agree with David that this only holds my attention the first time through. After that, it becomes annoying. I would have preferred if they had only had the piano solo at track six, then ended the cd with another piece of the piano solo with the voice over. Wes: I’m not familiar with this song, but Triumphant gives it a Statesmen treatment. Traditional quartet stylings which play to their strengths. Each member gets a feature and does a great job. Good cut. Aaron: Pretty cool little song. I agree with Wes in that it does sound like The Statesmen. Daniel: I have the song on a 1966 Blue Ridge Quartet LP, The Love of God. I think J.D. Sumner and the Stamps also recorded it within about a year of that rendition. The Prophets also recorded it on their (undated?) Gospel Rhythm project. Wes: Bluegrass flavored ballad featuring David Sutton. Sutton can just sing ballads, he’s one of the best. Very smooth sound from the group on the chorus. Not the best song on the CD, but a decent song. Aaron: David Sutton is featured on this song, and I’ve always thought his singing resembled that of the late Johnny Cook. A good song, and the group does great on the chorus. Adam: I’m not big on ballads, but David Sutton owns them. I’ll reiterate what Wes said, he’s one of the best when it comes to singing a song like this. Wes: Wow, talk about an obscure track. This song kicked off Clayton Inman’s first album with the Singing Americans. This version is arranged very close to the original, and succeeds just as well as the original did. I’ve always liked this tune, and Triumphant does it right! Aaron: Never heard the original version, but I’m loving this one! All of the guys get featured on this track, and it probably makes for a great reception at concerts. Brandon: This is a fun little song that I enjoyed. Wes, what Singing Americans’ project did this song appear on? The first time I listened to this track, I thought it was going to be “In My Robe Of White”. This kickoff sound a lot like the one used by Gold City on their 1982 Live LP for the song. The chorus of this song is very similar to another song found on the same Gold City project, “Angels Move Over”. Adam: This was a new song for me so I got to hear it with fresh ears. I love it! Wes: Brandon, this was the opening track to 1983’s Everybody Ought To Praise His Name. The album famously features Danny Funderburk singing “The Galilean”. It’s a great album if you can find it somewhere. Adam: This is a song that was way overdue to be re-recorded. The Perrys did this on their God’s Little People – Live project and is what I consider to be one of their signature songs. This is a great quartet song and Triumphant doesn’t disappoint on their version of it. Wes: I agree with Adam, this is a great quartet song, and Triumphant does it well. Aaron: Can’t really say too much more than Adam and Wes have said. Very good track. DBM: Triumphant excels with this type of arrangement. Little details like the rhythm dropping out so the vocals can put a little extra stress on “so-oh-oul” are a nice touch. Wes: This is a decent version of this song. I do prefer the Kingsmen’s cut to this one, but it isn’t bad. Aaron: I think The Kingsmen’s version on their newest project has the upper hand on this one. Not a bad version, just seems to lack the “punch” that The Kingsmen gave it. DBM: I like this version, but I would also give the edge to the recent Kingsmen treatment of this classic. In addition to the comment Aaron made regarding the “punch” in the Kingsmen version, Triumphant’s version is quicker and feels a little rushed. Anyone who already likes this song should enjoy either version, though. Brandon: Adam and I have discussed this before, but count me in with those that prefers the Kingsmen’s cut more. Triumphant’s laid back cut lacks the energy and drive that the Kingsmen gave it. Adam: I guess I’m in the minority, but I preferred this version to the K-men’s. It was Triumphant’s enunciation of “I do what He says do” that really won me over. The way the K-men said “I do what He say do” drove me nuts. Wes: I was hoping this was the Singing Americans’ classic. While Clayton Inman’s verses don’t have the vocal acrobatics that Mike English’s original does, Clayton delivers a classically powerful performance and puts his own style on the song. The choruses and tag are incredible. Simply put, they nailed it. The best song on the project, hands down. Aaron: Clayton Inman is one of the best lead singers on the road today, and this song helps reassure that. Awesome, awesome track. DBM: I still prefer Michael English’s rendition, but Clayton Inman does do an outstanding version here on the vocal. I’d love to hear a group of Triumphant’s caliber re-make the entire Black And White album as a tribute to the Singing Americans. Brandon: The Singing Americans’ //Black And White// project is one of my all time favorite southern gospel recordings and their cut of “Welcome To Heaven” was my favorite song for a long, long time. Clayton does a good job on this song, but just like the re-cut version he did when he re-joined the Singing Americans, his vocal sounds a little stiff and it keeps me from really getting into the song. Aaron: By far, one of the best projects Triumphant has ever released. Even though it’s not a “mainline” release, it’s every bit as good as, say, their self-titled project, if not better. The guys took obscure/old songs and re-recorded them. Much like The Imperials’ Back To The Roots project, it doesn’t sound like a bunch of cover songs; they made them their own. I’d say this is another great project of 2008. DBM: While I wouldn’t agree with Aaron that this is one of Triumphant’s best CDs ever (Home Free, their self-titled CD, and You Gotta Love It surpass Intermission), it IS a solid 4-Star recording. The vast majority of table projects featuring cover songs lack the attention to detail you get here. If you enjoyed Gold City’s Heaven CD, you should have an idea of what I’m talking about. Triumphant didn’t go to a soundtrack library, select eleven tracks at random, and cut their vocals in a day. They intentionally chose great songs from the past that most groups haven’t covered previously. Then they arranged and created tracks for those songs to suit their own strengths. While Intermission isn’t particularly original in style, the quality of the tracks is very good and even more importantly, there’s a stylistic consistency given to a somewhat diverse selection of songs. The only glaring flaw on Intermission is the spoken commercial, but that shouldn’t be enough to stop anyone from buying the CD. Brandon: This is my favorite kind of table project. Triumphant has picked out several old songs, some very familiar and some not so much, and made the songs work for them. As David said, it is apparent that they put more work into this project than a typical table project. The songs that you recognize still sound like those songs, but they don’t sound just like the original versions. 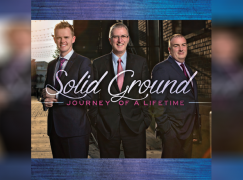 This is one of the best southern gospel budget releases since Triumphant’s own Past To Present CD. My average rating came out to be 3.8, but that low average is due in part to the “Intermission”/commercial track. Overall, I’d give this a strong 4.5 star rating. DBM and Wes have compared this project to Gold City’s Heaven. I’m (one of) the biggest Gold City fan you’ll find, but IMO, this project blows Heaven away. It is that good. Daniel: I agree with the other summaries; the song selection is one of this projects’ biggest strengths. 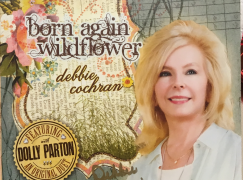 Many table projects select from a short list of the 25 or 50 most popular Southern Gospel songs; on this project, Triumphant cast its net a little wider and came up with several gems. Wes: I’ll echo the comments of several others that the song selection is very strong here. We’re not getting the 8 millionth rendition of “Beulah Land” or “Oh What A Savior” on this project. This is another way in which this CD is similar to Gold City’s Heaven. This is a solid 4.5 star project overall that, at the risk of being cheesy by mentioning my personal blog, is full of “hidden gems.” Triumphant has really equaled the bar set by Gold City’s aforementioned Heaven for table projects. This is a very enjoyable recording. Daniel: Triumphant has certainly been prolific in the table projects department. But may I be so bold as to say that this is their best table project yet. Adam: This is hands down my favorite project released by any group this far into 2008…and it’s a table project. Triumphant seemingly put a lot of thought into the song selection and their efforts on Intermission appear to have paid off with their best table project to date. 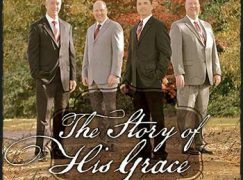 This project shows why Triumphant is at the top of the Southern Gospel Quartet world.